"Not only are we seeing a higher percentage of patients that are overweight, but it's a much higher percentage of patients who are extremely obese, people with a BMI in the 40s and 50s and even higher, which raises a lot of health concerns for the mother primarily." A new National Institutes of Health–funded trial showed overweight and obese pregnant women can safely reduce their weight gain with diet and exercise interventions. This is the largest national trial to target pregnancy weight gain of overweight and obese women. The results were published in the journal Obesity. The trial collected data from the Lifestyle Interventions For Expectant Moms consortium and included diverse socioeconomic groups, which means the findings can be generalized to a large population. 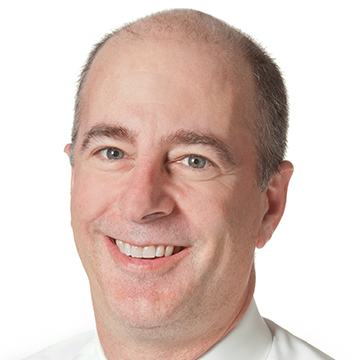 Alan Peaceman, MD, chief of Maternal Fetal Medicine in the Department of Obstetrics and Gynecology at Northwestern University Feinberg School of Medicine, was the lead author of this first publication to result from the LIFE-Moms consortium. The intervention lessened weight gain by about 4 pounds per woman. Alan Peaceman: "It doesn't sound like a huge difference, 4 pounds over a nine-month period, or actually six months that they were in the study, but when you're talking about a recommendation of weight gain of no more than 20 pounds in the situation where a woman is obese, that's a 20 percent difference. It is a reasonable number, and a difference. And you also have to recognize that is a mean, which means that many women were able to reduce weight gain more than that, so it didn't work in everyone, but that was the essentially the average of four pounds per woman, which is thought to be reasonable in weight loss studies when they compare to groups. Especially over this type of a timeframe when you really are not supposed to restrict calories to the point where people are starving and ketotic, but you're encouraging exercise and you're encouraging portion control. It's not about calorie restriction or a set number of calories." Peaceman says it is commonplace at Prentice Women's Hospital in Chicago, where he is a high-risk obstetrician, to see a patient who is over 300 pounds at the time they're giving birth. Research collected during the past 20 years has shown that there is an increase in complications associated with overweight and obesity in pregnant women. Alan Peaceman: "These mothers (are at risk of) having bigger babies, which results in higher cesarean section rates, higher complication rates within the cesareans, more hypertension for the mothers and more gestational diabetes. So these are bigger risks that are associated with not just excess weight gain, but also with obesity to begin with during pregnancy. The two act synergistically and the excess weight gain is actually worse in those women who started out weighing more than they should than in normal-weight women." Doctors also started to see a link between overweight and obese mothers and childhood obesity in the offspring and childhood diabetes. Alan Peaceman: "At first, this was thought to be related to potentially environmental exposures after the baby's born and in the home, if the parents are not eating appropriately and (the children are) not getting exercise. But even without that, if you remove a child and put it in a different environment, that imprinting is still there and it provides a higher risk to them and their development later on in life. And this is the cycle we're trying to break." This study took place at sites across the country. Each site had participants take part in a variety of tasks, such as logging meals, participating in calls and working with dietitians, exercise physiologists and psychologists. Peaceman and the other investigators had hoped the interventions would result in a reduction of some or all of the common complications seen in pregnancies of women with higher body mass index (BMI). Unfortunately, they did not see those results. Alan Peaceman: "We did not see any benefit to these particular outcomes that we were measuring and that, I have to believe, was disappointing for all of us. Certainly for me as an obstetrician. I could speculate that you have to start (managing weight gain) earlier in the pregnancy and avoid the early first trimester excess weight gain." The study also looked at what percentage of women gained within the recommendations of the Institute of Medicine, which is no more than 20 pounds for pregnant women who are obese. Alan Peaceman: "In the non-participating group or the usual care group, 85 percent of women exceeded the recommendations of how much weight they should gain. Some of them may have exceeded by 1 pound, some may have exceeded by 10 pounds. But if you have it as a yes or no question, did they stay within the guidelines, only 15 percent in the control group did. We did do better than that in the intervention group, but still two-thirds of the women gained more than what is considered ideal by the recommendations. So in that aspect, we still did not do as well as we were hoping to do." The results underscore how difficult it can be for this population of women to reduce weight gain while pregnant. Alan Peaceman: "In this day and age with the availability of fast food, with the lack of time people have to prepare dinner at home, the pressures of a a two-career family or whatever else or the difficulty getting healthy food in their neighborhood, it's not as easy as it should be." Alan Peaceman, MD, has nothing to disclose. Erin Spain: This is Breakthroughs, a podcast from Northwestern University Feinberg School of Medicine. I'm Erin Spain, executive editor of the Breakthroughs newsletter. Today we're talking about pregnancy weight gain, and a new Northwestern Medicine study that shows have a safe and effective way for overweight or obese women to reduce the amount of weight they gained while pregnant Dr. Alan Peaceman is the primary investigator of this new study and the chief of maternal fetal medicine here at Feinberg and a high risk obstetrician at Northwestern Medicine. Thanks for joining me today. Alan Peaceman: Thank you for having me. Erin Spain: Before we hop right into the results of this study, I think it's important to note that women have received so many conflicting messages over the years about weight gain and what safe during pregnancy or the recommended amount to gain. Can you talk a little bit about some of these past recommendations and what you recommend now? Alan Peaceman: Absolutely. This is a topic that has seen the pendulum swing like a lot of topics in medicine and obstetrics in particular. If you talk to women who were pregnant 50, 60 years ago, they will tell you that they were told not to gain very much weight during pregnancy was fine, to smoke, it was fine to have some wine, but, you shouldn't gain more than 10 to 15 pounds during the pregnancy. If you, it's hard to find an obstetrician who was around back then, but it's thought that that recommendation came from an idea that if you kept women from gaining excessively, it would reduce the chances of hypertension complications at the end of the pregnancy. What ultimately came out was in the 60s and 70s, was a recognition that inadequate weight gain was resulting in babies that were smaller than they should be. And some of them were not as healthy as they should have been related to their small size. And in response to that, the recommendations were made that women should gain at least a certain amount of weight during pregnancy. And the emphasis on weight control essentially disappeared. So we, we saw women starting to eat more and for two as the eating for two concept probably came about at that time as well. And, mothers fed, they're a pregnant daughters and granddaughters, encouraging them to eat more and no one recognized that it was a medical concern. If anything may be a cosmetic concern, it was more weight to lose when the pregnancy was over and to get back into your clothes and those sorts of things. But it was not really a focus of medical indications. This all changed in the last 20 years a coincident with an increase in obesity in the United States. Erin Spain: In 1990, it was about 37 percent of women of childbearing age were overweight or obese. And now it's closer to 60 percent. Alan Peaceman: That's exactly right. If you define being overweight at the beginning of pregnancy is a BMI of 25 or above that is overweight and 30 and above is obese. It is more than 50 percent of the population of childbearing age, which is 15 to 45. Erin Spain: Do you see this in your clinic? Alan Peaceman: We see it everywhere. Not only are we seeing a higher percentage of patients that are overweight, but it's a much higher percentage of patients who are extremely obese, people with BMI in the 40s and 50s and even higher, which raises a lot of health concerns for the mother primarily. Erin Spain: Because you've been here for nearly 30 years at northwestern. And so you've seen that shift happen. Alan Peaceman: Absolutely. It is commonplace now almost every day. We have a patient who is over 300 pounds at the time that she's giving birth. There's been a lot of publicity recently about maternal mortality in this country. You don't see that in the current statistics that are coming out, but I have to believe that maternal obesity is playing a role in that as well. Erin Spain: And you're very focused on studying this group of women and trying to understand if there's interventions that can take place. Alan Peaceman: In the last 20 years, research has started to come out showing the increase in complications associated with overweight and obesity in the mothers. Specifically, mothers have bigger babies, results in higher cesarean section rates, higher complication rates within the cesareans, more hypertension for the mothers and more gestational diabetes. So these are bigger risks that are associated with not just excess weight gain, but also with obesity to begin with during pregnancy. The two act synergistically and it happens, the excess weight gain is actually worse in those women who started out weighing more than they should than in normal weight women. So we started to see these complications coming out in the mothers and we also started to see a link between overweight and obese mothers and childhood obesity in the offspring. And childhood diabetes. At first, this was thought to be related to potentially environmental exposures after the baby's born and in the home if the parents are not eating appropriately and not getting the foods to the child and not getting exercise. But even without that if you remove a child and put it in a different environment, those, that imprinting is still there and it provides a higher risk to them and their development later on in life. And this is the cycle we're trying to break. Erin Spain: So this most recent study, tell me about what you found. Who were the participants, what was the intervention and what happened? Alan Peaceman: The overall consortium is referred to as the Life Mom's consortium. All the center's started recruiting and ultimately we were able to recruit over a thousand patients, put half of them into this intervention, and half of them got routine care by a flip of a coin essentially randomization and ultimately compared the outcomes between the two groups. Erin Spain: Now all of these women were either overweight or obese in this particular study. Erin Spain: Intervention reduced about four pounds of weight gain per woman. Alan Peaceman: It doesn't sound like a huge difference, four pounds over a nine month period or actually six months that they were in the study, but when you're talking about a recommendation of weight gain of no more than 20 pounds in the, in the situation where a woman is obese, that's a 20 percent difference. It is a reasonable number, and a difference. And you also have to recognize that that is a mean, which means that many women were able to reduce weight gain more than that, so it didn't work in everyone, but that was the essentially the average of four pounds per woman, which is thought to be reasonable in weight loss studies when they compare to groups. Especially over this type of a timeframe when you really are not supposed to restrict calories to the point where people are starving and ketotic, but you're encouraging exercise and you're encouraging portion control. It's not about calorie restriction or a set number of calories. It has more to do with portion control, eating appropriate portions and the composition of the meals. promoting more protein intake, less carbohydrate intake. The problem that we see, to be honest with you, and if you talk to dietitians, what they'll tell you is that the mistake that a lot of women make is probably men too outside of pregnancy is not it. It's portion size frequently, that they're eating a too much of the wrong foods and there are a lot of too much calories they're getting from juices which they think are healthy or from soft drinks and sweet tea that people don't think about when they're saying, oh, I'm trying to watch my weight. So this is a big problem is as the unrecognized caloric intake and cutting down on 300 calories a day, whether it's in a big gulp or in a single dessert or some other thing, doesn't involve a huge change that people associate with dieting and that painful word. Erin Spain: So the intervention worked on a lot of these women. They were able to gain less weight than perhaps they would have without the intervention. But one thing you were looking to see is if they had fewer complications. Alan Peaceman: Pretty much every study that has looked at it has associated excess maternal weight gain with an increased infant birth weight, with a high blood pressure complications in the pregnancy which could result in a need to deliver prematurely the increased rates of gestational diabetes, increased rates of Caesarean section. These are the main things we talk to patients about. We were hoping in this study that by using this our interventions, we would see reductions in some or all of these complications. Unfortunately, we didn't see that we did not see any benefit to these particular outcomes that we were measuring and that I have to believe was disappointing for all of us. Certainly for me as an obstetrician. Erin Spain: Do you think it needs to be more than four pounds? Alan Peaceman: I could speculate on that or whether it's a higher percentage of patients not exceeding the guidelines or whether it is a fact that you have to start earlier in the pregnancy and avoid the early first trimester excess weight gain. And you have to understand that even for people that are well motivated at that point in time, a lot of women have morning sickness during that time and the only thing that they can hold down are carbs and some of the people who have the most nausea are the ones that gain excessively because of this. It's a weird type of nausea where, and this I only know because the patients tell me, you feel better when your stomach is full as opposed to when it's empty. And so they're eating carbs most of the day continuously. And that explained some of the weight gain there. So that doesn't help the situation. But another way of looking at this is what percentage of women gained within the recommendations, that overall regarding weight gain during pregnancy. And those weight gains restrictions are somewhat strict. The recommendations that came from the Institute of Medicine. In the non participating group or the usual care group, 85 percent of women exceeded the recommendations of how much weight they should gain. Some of them may have exceeded by one pound, some may have exceeded by 10 pounds. But if you have it as a yes or no question, did they stay within the guidelines, only 15 percent in the control group. We did do better than that in the intervention group, but still two thirds of the women gained more than what is considered ideal by the recommendations. So in that aspect, we still did not do as well as we were hoping to do. Erin Spain: Kind of underscores how hard this is for people. Alan Peaceman: Well, I think there are people who found it very difficult to stick to the recommendations. There are people who had already put on a fair amount of weight before they got enrolled in the study, so that may have contributed as well. We thought when we started at that this was not going to be as hard as some weight gain studies because we were hoping this was going to be what we call a teachable moment when women would be very motivated to participate in a program and try to establish good habits for a relatively short period of time that they can say, I can do this for my baby for six months. If we look at how well people were compliant, it wasn't as good as you might think it would be given that kind of motivation. That just tells you how hard it is in the, in this day and age with the availability of fast food, with the lack of time people have to prepare dinner at home, the pressures of a a two career family or whatever else, or the difficulty getting healthy food in their neighborhood. It's not as easy as it should be. Erin Spain: How many studies came out of this consortium cohort? Alan Peaceman: Well, this is the first publication that's going to have a data from across the consortium. Each of the individual sites is going to be publishing a number of things, but we are probably looking at 10 to 15 different analyses being done just in the first round, which hopefully will be completed in the next year or so. Erin Spain: What are some of the trends that you're finding that are sort of showing, are they similar to this that a intervention is helpful for some? Alan Peaceman: Hopefully what we're going to find is that they're going to be specific characteristics that tell us when it works and when it doesn't, we're going to be looking at certain measures of certain hormones in the blood. We may find that it's related to some other factors that such as diet composition as opposed to just solely weight gain. So it's really going to be drilling down to try and get a more than just the overall look at weight gain and its association with complications. And in the postpartum period, we're going to be looking at maternal weight loss by 12 months of age. Whether that's impacted by this intervention and also did the weight control affect not just the ability to breastfeed, but also the composition of the breast milk? We're going to be looking at that as well. Erin Spain: Lots of interesting things to come. Alan Peaceman: We have lots of samples in the freezer. Erin Spain: Why do women want to take part in studies like this? Alan Peaceman: In weight loss trials we probably only got participation in 10 to 20 percent of the patients we approached to participate in. In some studies it's a 50 percent would be considered probably a good target to go for. I think there were women who really recognized that this was an area that they were concerned about and we're hoping that to be, to get some help, that this was an opportunity to work with dietitians, with exercise physiologists, with psychologists and all for free. The bad part about it was they asked a lot from these women, they ask them to log a lot of their meals. They asked them to participate in calls every week. Certain sites asked for more interventions than others. So a lot of women just said, I don't have time for this. I'm, you know, I've got two kids at home. I've got a job. I'm already way over committed or that they didn't have time to come down for the study visits. So the good news is there are a lot of women who are interested in participating in research during pregnancy and we are very fortunate. Northwestern has a very large delivery volume that we are able to recruit for a lot of studies. At the same time,. Erin Spain: You see patients all the time who may be facing pregnancy as an overweight or obese woman. What's the very best advice you can give them in for anybody listening or any physicians who are listening, what can these women do? Alan Peaceman: The first thing I want women doing when they're pregnant is to stay active. There's really no reason to start limiting your activity during pregnancy. Erin Spain: I've read some things. Don't get your heart rate over a certain number of this type of thing. Alan Peaceman: That's old thinking that went away many years ago. For people that are conditioned prior to pregnancy, there is no reason they can't continue that level of conditioning. And it's not related to a particular heart rate that's not safe. Alan Peaceman: They got to get out and start walking unless they've got some disability that keeps them from walking. Most everybody can get out and walk 30 or more minutes a day, as many days as the weakest they can, whether it's outside or on a treadmill. The idea is to stay active. That is a cornerstone to the whole strategy. But even before that if we, as the medical profession started getting the message out to women who were thinking about getting pregnant and talking to them about getting their eating habits under better control prior to conception and in the early pregnancy period I think that's got to be a major part of this as well. And then in general, when women talk to me and they say, well, how much weight should I gain during pregnancy? It's going to depend on what their pre-pregnancy weight was. But I'm not sure how helpful it is if I tell a woman, Oh, you should gain 25 to 35 pounds over the next seven months. How does that translate when she gets home to what she should do that night? It's not really that helpful, I would think in terms of translating that. I think the idea is to stay away from fast food, to limit your juice intake, to limit your dessert intake and eat more protein and less carbs. That's it and think about when you're eating what you're eating and not just eat and not pay attention.